Are you planning your trip to New Zealand and looking for the best way to travel around? Well Stray New Zealand is certainly one of the options you should be considering! I recently joined the crew of Stray to explore the North Island – so here’s how I got on, what I thought about everything, and heaps of useful info to help you decide whether Stray New Zealand is the right option for you! What Is Stray New Zealand? What Destinations Does Stray New Zealand Cover? Who’s On The Stray New Zealand Bus? What Makes Stray New Zealand Different? Is Stray New Zealand Value For Money? The Final Verdict – What’s It Really Like? Before I go into the ins and outs of travelling with Stray New Zealand, I’ll just clear up what it actually is! 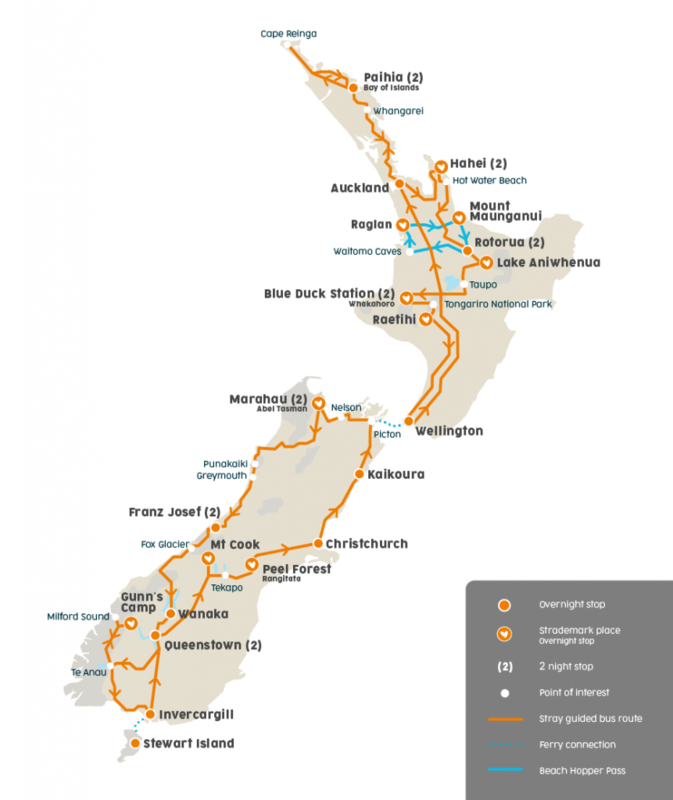 Luckily it’s pretty simple – it’s a hop on, hop off bus network around New Zealand. Aimed at travellers wanting to discover a range of awesome destinations, they offer a variety of travel passes (more about that later), covering different routes. Each pass is valid for 12 months of travel and you can hop off the bus for as long as you like at each stop, and then hop back on once you want to head to the next destination. With that all cleared up – lets answer some of the questions I know you’ll probably have about travelling with Stray New Zealand. 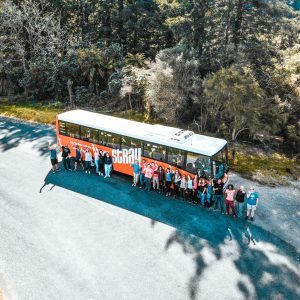 Stray covers over 35 destinations across the whole of New Zealand – from Stewart Island in the South, to Cape Reinga at the very tip of the North Island. 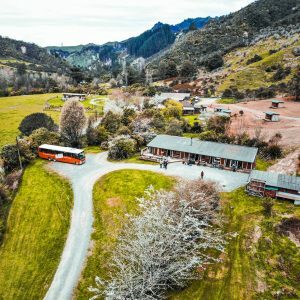 For anyone wanting to hit up firm backpacker favourites like Queenstown, Franz Josef, Rotorua, and Wellington, you’re totally covered and Stray New Zealand also stops at some lesser known (but equally awesome!) stops along the way too – but more about that later. One of the most common questions I get asked when people are trying to figure out how to travel New Zealand, is who travels on Stray New Zealand versus who travels on Kiwi Experience, and which one suits them. Having travelled on both I can tell you that there is a pretty easy divide between them! Stray on the other hand was a more diverse crowd – my bus had people from 18 to 71 on it, and it was certainly more chilled than my experience with Kiwi. Don’t get me wrong, it was far from boring and there was some good partying involved, but it wasn’t as crazy! 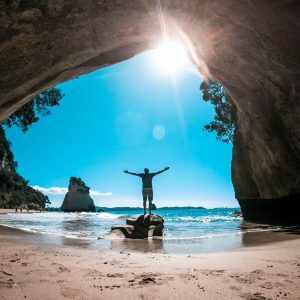 Basically if you want to enjoy New Zealand, have a more mature mindset, or want to discover a bit more off the beaten track, then Stray New Zealand is the option for you! And of course the other main person you’ll meet on the Stray Bus is your driver! I got to meet a few during my trip (including a couple of trainees), and it’s safe to say they all have heaps of stoke about showing you around NZ. They all have pretty interesting nicknames too – from Seagull (who was my main driver) to Thor, Waka and Romeo – so your challenge is to figure out why that nickname was bestowed upon them! They’ll keep you entertained en-route with random and interesting facts about the country and destinations, and also help sort your accommodation and activities too. As you might have guessed, the differences are pretty self explanatory – North Island covers the North Island only (usually Auckland to Auckland), South Island covers the South Island only (usually Christchurch to Christchurch), and the National Passes cover both islands and can usually be started in either Auckland or Christchurch. All are hop on, hop off format giving you heaps of flexibility and allowing you up to 12 months of travel time. Each different pass has a minimum travel time and there are a variety of options to choose from depending on which destinations you want to visit, and of course how much time you have to travel around New Zealand. Since I was on a short time frame and only covering the North Island, I opted for the Jill Pass with a Bay of Islands add on – which was perfect for my 2 week time scale. Since we’re talking about Stray New Zealand already, I thought it would be worth chucking the Stray Journeys option into the mix as well. These are essentially fixed dated versions of the passes (so your entire itinerary is all set), and also have all your accommodation and some key activities included in the price. This makes it perfect for those who don’t require the flexibility of a normal Stray Pass, or who prefer to pay upfront for the main travel costs (which also saves you some money) – meaning you can just turn up and enjoy the adventure knowing most stuff is already booked and paid! Again there are a few different pass options for different routes and budget, but the Cook Pass is the most popular option to choose. 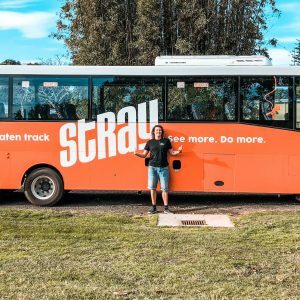 So apart from all of the flexibility and options, what makes Stray stand out from other ways to travel around New Zealand? Well the key thing with Stray are their Strayedmark destinations, and having just wrapped up my trip, I can personally say that they were in fact my favourite stops! On the North Island, Lake Aniwhenua was my personal fave, with its lakeside views (the sunset was incredible! ), epic Hangi feast, and Maori culture. Blue Duck was also a favourite amongst a lot of my Stray buddies too – a remote farm lodge deep in the New Zealand bushland surrounded by amazing scenery, where clay pigeon shooting, kayaking, and beers around the campfire were the order of the day! The Stray New Zealand bus passes are one of the more pricey ways to travel around NZ (especially in comparison to Kiwi Experience) but I wouldn’t let that deter you – I had a great time and everyone on my bus did as well. My Advice – Wait For The Sales! My advice would be keep an eye out for their monthly sales promotions – you can buy a discounted pass and still have 12 month to start your trip, so you can really nab yourself some epic savings…which leaves more cash for fun stuff once you’re out there! And with the Everywhere Pass usually selling for $1735NZD (approx £885GBP or $1157USD) it’s definitely worth looking out for the savings! 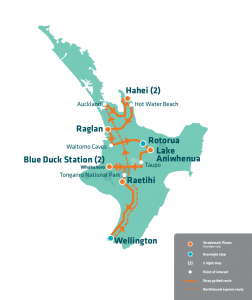 They have also made some changes to their passes starting in late 2018 which means that Raglan and Waitomo (for the glow worm caves are not on their main route, but on a bolt-on Beach Hopper Pass – so if you’re looking to hit up these spots, then you’ll need to add an extra $275NZD to most passes to include it. It’s also worth mentioning now, that your driver will be able to hook you up with some awesome discounts on accommodation and tours throughout your journey too. En-route to each stop they’ll chat through all of the activities on offer and the main accommodation they’ll be staying at, you simply chuck you name down and they’ll get it all booked in for you. These discounts vary from spot to spot, but on stuff like the Waitomo glow worms caves it can be a hefty chunk of cash! Also from a budgeting perspective (check out my New Zealand budget guide for more info on this), accommodation ranges from $24-35NZD per night, depending on which stop you’re at. I had a blast on my Stray Trip! Overall, I absolutely loved my trip with Stray New Zealand and was stoked to discover some awesome new spots in NZ that I’ve not even heard of before. Plus I got to meet a whole array of new travel buddies from all over the globe. It ticks all the boxes for those wanting a convenient and flexible way to explore both islands, and is ideal for those who want a good balance of adventure and partying. Although a lot of people tend to go with the minimum travel time for the pass and treat it like a mini tour (which is great as you’ll usually have the same group throughout), I would advise adding in some extra time at certain spots. Taupo, Rotorua and Queenstown have a lot going on and are well worth some additional time. I guess what I’m trying to say, is that you don’t want to find that you rush through a stop and have to make a decision on which activities you can do and which you can’t. Do some research into each stop and figure out what you can fit in ahead of time! If you do go with the minimum travel time, just be prepared for the pace of it – there’s some pretty early mornings back to back and activity packed days so it’s quite easy to burn out. Have you travelled with Stray New Zealand? 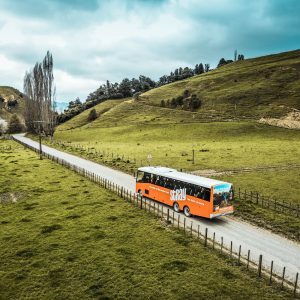 REVIEW: The Stray New Zealand Bus - What’s It Really Like? Indeed there are a few options to choose from! Thanks for passing it onto your buddies!